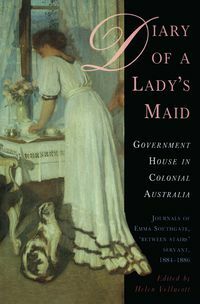 Helen Vellacott, after living in Queensland, New South Wales and Cambridge, inherited an old family home classified by the National Trust in the historic town of Castlemaine. Her house looks across Forest Creek where thousands of diggers and prospectors made their fortunes - or lost them - in the 1850s. Helen, a war widow, is a keen book lover, and as well as rare books collects antique embroidery and patchwork quilts. 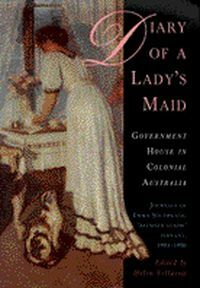 She is the author of Diary of a Lady's Maid: Government House in Colonial Australia, A Girl at Government House, The Australian Country Kitchen and Some Recollections of a Happy Life: Marion North in Australia and New Zealand.